Do you want to spice up your instant messages with friends? Good news! 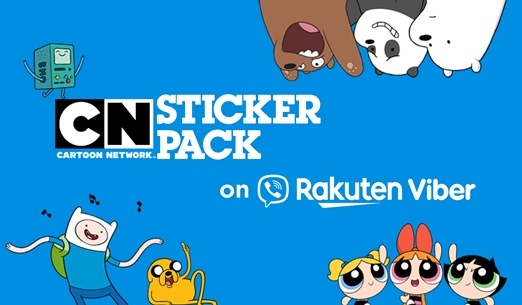 Cartoon Network and Viber have recently launched a new sticker pack to add a dose of fun, a dollop of adventure and a truck-load of adorable to your app chat. Level up your messages, express your mood and make conversations more powerful with this new sticker pack, featuring your favorite characters from Adventure Time, We Bare Bears and The Powerpuff Girls. You can download it for free for a limited time only on Viber’s sticker market. When you share it with your friends, you also have the chance of winning some great We Bare Bears merch. No Viber yet? Just download the app through Google Play or from the App Store, and try it out for yourself. To get more updates about your favorite Cartoon Network characters, visit www.cartoonnetworkasia.com and follow Facebook.com/CartoonNetworkAsia. Cartoon Network is available on Cignal Digital TV Channel 220 (HD), Sky Direct Channel 15 (HD), SkyCable Channel 178 (HD), and Destiny Cable Channel 178 (HD Digital). This entry was posted in Adventure Time, Cartoon Network, Cartoon Network Stickers, Press Release, Viber, Viber Stickers, We Bare Bears. Bookmark the permalink.